Mt. 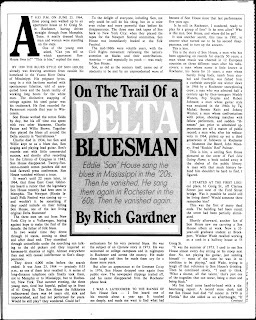 Zion Memorial Fund: "On The Trail Of a Delta Bluesman"
Eddie 'Son' House sang the blue's in Mississippi in the '20s. Then he vanished. He sang them again in Rochester in the '60s. Then he vanished again. AT 8:33 P.M. ON JUNE 23, 1964, three young men walked up to an apartment house at 61 Greig St. in Rochester, having driven straight through from Memphis, Tenn. A neatly dressed black man and woman were standing on the steps. One of the young men asked, "Can you tell us which apartment Son-House lives in?" "This is him," replied the man. BY 1930 THE BLUES STYLE OF SON HOUSE already was drawing attention from outside his homeland in the Yazoo River Delta of Mississippi. His poignant lyrics, sung in a rich baritone marked with spontaneous falsettos, told of unrequited loves and the harsh reality of working long hours for the white man. The distinctive snapping of strings against his steel guitar was his trademark. He first recorded for Paramount records that year in Wisconsin. Son House worked the cotton fields by day, but his off time was spent with two other bluesmen, Charlie Patton and Willie Brown. 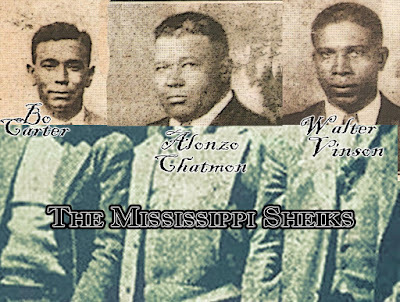 Together they played the blues all around the Delta country in "barrelhouses." Charlie died in 1934, but Son and Willie kept on as a blues duo, Son singing and playing lead guitar. Son's records met with little commercial success, and shortly after recording for the Library of Congress in 1942, Son House disappeared. Twenty-five-cent-a-month cotton patchers did not hold farewell press conferences. Son House vanished without a trace. 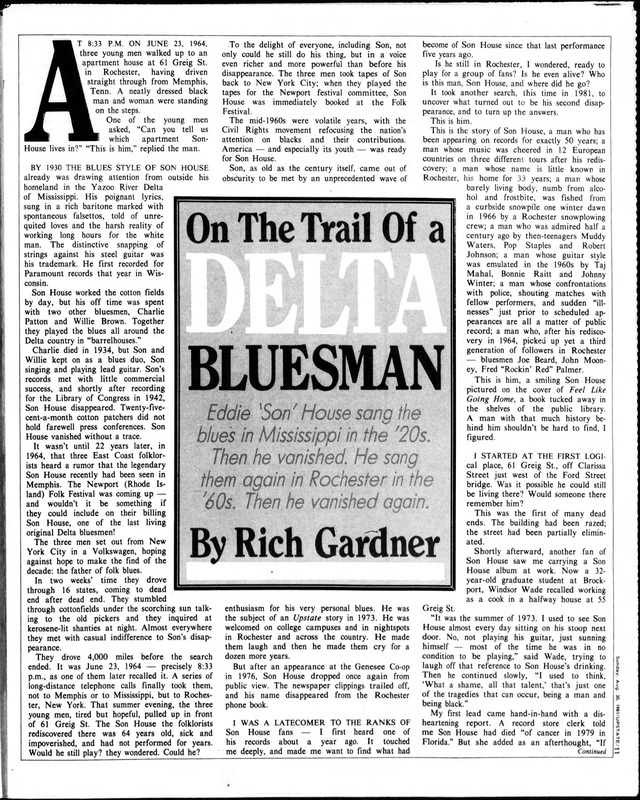 It wasn't until 22 years later, in 1964, that three East Coast folklorists heard a rumor that the legendary Son House recently had been seen in Memphis. The Newport (Rhode Is-land) Folk Festival was coming up —and wouldn't it be something if they could include on their billing Son House, one of the last living original Delta bluesmen! The three men set out from New York City in a Volkswagen, hoping against hope to make the find of the decade: the father of folk blues. In two weeks' time they drove through 16 states, coming to dead end after dead end. They stumbled through cottonfields under the scorching sun talking to the old pickers and they inquired at kerosene-lit shanties at night. Almost everywhere they met with casual indifference to Son's disappearance. They drove 4,000 miles before the search ended. It was June 23, 1964 — precisely 8:33 p.m., as one of them later recalled it. A series of long-distance telephone calls finally took them, not to Memphis or to Mississippi, but to Rochester, New York. That summer evening, the three young men, tired but hopeful, pulled up in front of 61 Greig St. 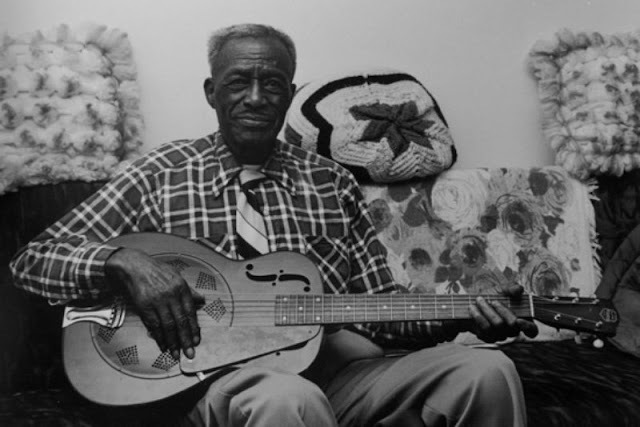 The Son House the folklorists rediscovered there was 64 years old, sick and impoverished, and had not performed for years. Would he still play? they wondered. Could he? To the delight of everyone, including Son, not only could he still do his thing, but in a voice even richer and more powerful than before his disappearance. The three men took tapes of Son back to New York City; when they played the tapes for the Newport festival committee, Son House was immediately booked at the Folk Festival. The mid-1960s were volatile years, with the Civil Rights movement refocusing the nation's attention on blacks and their contributions. America — and especially its youth — was ready for Son House. Son, as old as the century itself, came out of obscurity to be met by an unprecedented wave of enthusiasm for his very personal blues. He was the subject of an Upstate story in 1973. He was welcomed on college campuses and in nightspots in Rochester and across the country. He made them laugh and then he made them cry for a dozen more years. 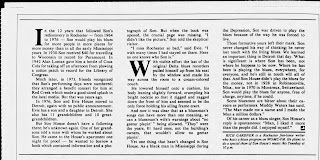 But after an appearance at the Genesee Co-op in 1976, Son House dropped once again from public view. The newspaper clippings trailed off, and his name disappeared from the Rochester phone book. I WAS A LATECOMER TO THE RANKS OF Son House fans — I first heard one of his records about a year ago. It touched me deeply, and made me want to find what had become of Son House since that last performance five years ago. Is he still in Rochester, I wondered, ready to play for a group of fans? Is he even alive? Who is this man, Son House, and where did he go? It took another search, this time in 1981, to uncover what turned out to be his second disappearance, and to turn up the answers. This is the story of Son House, a man who has been appearing on records for exactly 50 years; a man whose music was cheered in 12 European countries on three different tours after his rediscovery, a man whose name is little known in his home for 33 years; a man whose barely living body, numb from alcohol and frostbite, was fished from a curbside snowpile one winter dawn in 1966 by a Rochester snowplowing crew; a man who was admired half a century ago by then-teenagers Muddy Waters, Pop Staples and Robert Johnson; a man whose guitar style was emulated in the 1960s by Taj Mahal, Bonnie Raitt and Johnny Winter; a man whose confrontations with police, shouting matches with fellow performers, and sudden "illnesses" just prior to scheduled appearances are all a matter of public record; a man who, after his rediscovery in 1964, picked up yet a third generation of followers in Rochester — bluesmen Joe Beard, John Mooney, Fred "Rockin' Red" Palmer. This is him, a smiling Son House pictured on the cover of Feel Like Going Home, a book tucked away in the shelves of the public library. A man with that much history be-hind him shouldn't be hard to find, figured. I STARTED AT THE FIRST logical place, 61 Greig St., off Clarissa Street just west of the Ford Street bridge. Was it possible he could still be living there? Would someone there remember him? This was the first of many dead ends. The building had been razed; the street had been partially eliminated. Shortly afterward, another fan of Son House saw me carrying a Son House album at work. Now a 32-year-old graduate student at Brock-port, Windsor Wade recalled working as a cook in a halfway house at 55 Greig St.
"It was the summer of 1973. 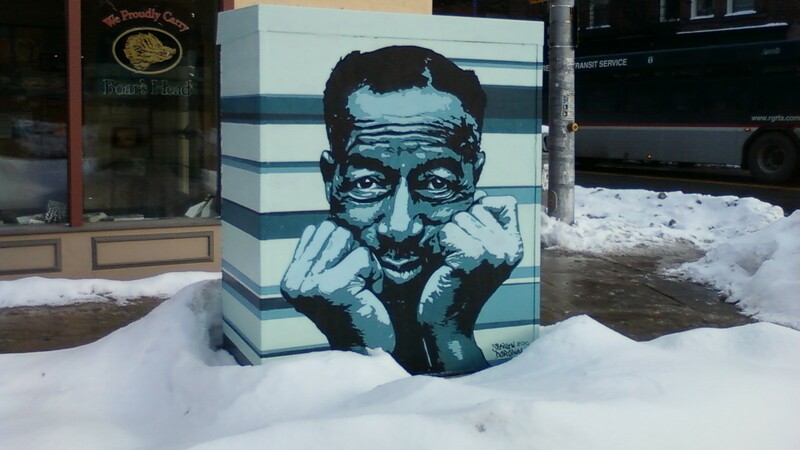 I used to see Son House almost every day sitting on his stoop next door. No, not playing his guitar, just sunning himself — most of the time he was in no condition to be playing," said Wade, trying to laugh off that reference to Son House's drinking. Then he continued slowly, "I used to think, `What a shame, all that talent,' that's just one of the tragedies that can occur, being a man and being black." Democrat & Chronicle, Aug 30, 1981. My first lead came hand-in-hand with a dis-heartening report. A record store clerk told me Son House had died "of cancer in 1979 in Florida." But she added as an afterthought, "If you want information about Son House, the person to see in Rochester is John Mooney." Meanwhile, I got hooked up with Joe Beard, of the Joe Beard Blues Union, a four-piece blues band that has rocked the timbers of numerous Rochester nightspots. Beard, a 43-year-old Mississippian, knows his blues. "Let's see, it must have been '73 when Son and I did the U of R together," Joe told me. "I've still got the tape I made of it. We played at the Genesee Co-op and at the Wine Press (now the Inferno) . . . around '72, '73, I think it was." But they spent most of their time playing not in public but at parties in friends' homes or simply on their back steps — Joe and Son were next-door neighbors on Greig Street from 1962 to 1972. "Son never thought he'd be playing the blues in public again. His rediscovery in Rochester didn't change him a bit. We still played together or I'd bring him with me to clubs where I was playing just so he could watch, the Fair-port Inn was one place, maybe 1975. Sometimes we'd go to the circle park, there on Ply-mouth Avenue. Son was there quite often, there wasn't much of an audience but we played and had a good time." But Joe Beard didn't know what had become of Son, either; he last saw him in 1976. John Mooney's characteristic smile and high energy level are much the same in the small music room of his old farmhouse as they are on stage. Mooney — who makes his living playing the blues from Maine to Louisiana —began playing guitar at 13: "You know, rock 'n' roll, just like everyone else. One day I heard a blues tune on the radio. I said to myself, 'That's the kind of music I want to play!' " He bought that blues album and others and soon was a blues convert. Mooney set up with Fred "Rockin' Red" Palmer and Joe Beard and they started doing gigs together in the early '70s. "They did, and so at only 17, Mooney fell under the tutelage of a man whom he had admired greatly only from a distance, only from his recordings. It was not your everyday teacher-pupil experience for the young Mooney. The then 71-year-old high priest of the Delta blues taught his young disciple the finest points of a nearly extinct bottleneck guitar style, including where to hock it when you were caught short. Son demonstrated for his young admirer how he projected his voice on those immortal early recordings. He demonstrated, too, how to drink whiskey straight, straight from the bottle, and where to pawn records and other household items when you ran out of whiskey, and when you ran out of house-hold items, when and where to panhandle. Being painted for me was the picture of a powerful per-former who sometimes demonstrated total control over his audience but, at other times, had almost no control of his own life. Interview after interview showed a man who had singing engagements from just down the street to UCLA, but who, if left on his own, would show up on the wrong date, if at all. Mooney spoke matter-of-factly about Son's notorious drinking habits. "I remember,"' said Mooney, "this one time we had it set up so that when Son finished his first set (someone) would walk right up on stage and take Son by the hand and lead him off and not let go of him until it was time for the second set." You can tell from his live recordings that audiences were enraptured with his in-tense, almost cathartic performances. This kept Son going and kept an ever increasing number of fans wanting more. "Son House is the only performer I've ever seen who could walk into a club any-where and start playing acoustic blues and everyone — everyone — shut up and listened," Mooney recalled. "Son could make his voice fill a small space or a large hall, even outside it seemed to fill it to the sky. Son could make people cry." Mooney and the aging House did gigs together, at the Genesee Co-op and the Wine Press, among other places. Mooney played second guitar. Mooney's affectionate recollections of Son extend also to Son's wife, Evie. it and then, 'Oh, here it is.' Other times she'd give in and make beer runs for us." But what had happened to Son House? We told Mooney we'd heard he died in Florida in 1979. Mooney couldn't hide his amusement at our belief that Son House was dead. He left us listening to a reissue of Son's 1930 recordings and excused himself for a moment. When he returned he was smiling. "He's alive. I just talked to Evie in Detroit. Son says, 'Tell 'em I may be get-tin' old, but I got young ideas!' " Mooney laughed. "He always says that." It was Mooney who helped us set up an interview with Son House in Detroit, where he and Evie had gone to be closer to Evie's family. They don't allow no geetar playin' here," Evie told me when I telephoned Detroit to set up an interview. Nevertheless, we agreed I would come up for a visit on a Saturday afternoon. It was overcast when we left Rochester at dawn. When we finally pulled up in front of the address Mooney had given us, it was raining hard. We ran down the long walkway armed with two 35mm cam-eras and a vintage 1930s National resonator guitar, the kind Son used to play. If anyone was against guitar playing in the building no one, including the two guards at the door, said a word about our luggage. We signed in, got cleared by Evie on the inter-com and were allowed on the elevator. On the way up, I thought about how Son was "discovered" in 1930 by a music store clerk who hooked him up with Paramount Records. In 1942 Alan Lomax, folk curator for the Library of Congress "found" Son in Robinsonville, Miss., and recorded him for the library. In 1964, those three white folklorists "rediscovered" Son after a long search. As I knocked at Apartment 518, it occurred to me that Son might be getting tired of being rediscovered. But my fears were unfounded. Son obviously was tickled that we had come all this way to see him and he talked with little prodding. He apologized right away for having nothing around to offer us to drink. 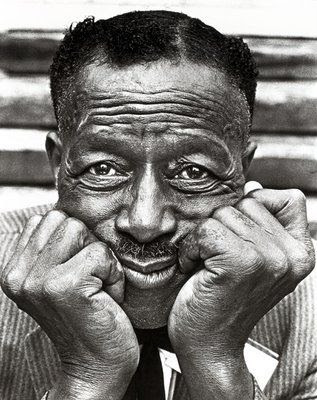 Son House has a spontaneous grin that seems to flash vertically, from the tip of his chin to the top of his brow. It came and went as he patted the arms of his Lazy-Boy recliner nervously. "Ever since I was a little bitty boy, that's what they was callin' me, Eddie James Son' House, Jr.," he said. "I learned to play partly from my daddy. He was a deacon of the church. He liked to play hymns, not d' blues." He tried without success to think of another person — a musician — who had influenced him. "The other day I recalled his name to myself. I followed him around to hear him play. I'd walk four or five miles to hear him." Gonna choose my seat and sit down. Playing around the Delta in the early '30s, Son met Evie, a cook in a Lake Carmel diner. They were married in 1934. Together again now after 47 years of ups and downs, Evie recalls that marriage didn't change anything for Son. "As soon as we got married -he disappeared. He took off to play in Arkansas. I said to him, `That geetar pickin' ain't gonna do you no good!' On the way there he got locked up for a week with Willie Brown." The man whom such leg-ends as Muddy Waters, Pop Staples and Howlin' Wolf all credit as an early influence grinned as he reminisced about those early Mississippi years. "Sometimes we'd go Saturday night to sun up. Some one'd yell 'Sunup!' and we'd all grab another drink; sometimes even until Sunday evenin'. We'd play until we fell out drinkin' that ol' whiskey. Ole Willie'd be backin' me up . . ."
"You had to pick up 'n' go to beat Willie," adds Evie. "That was beautiful music." Evie has been tolerant of Son's lifestyle over the years even if it is at odds with her own beliefs and religious up-bringing. "Sure, I go to church. He don't," she said, waving her arm toward Son. "I've always gone to church." Their differences did cause a separation. " After Charlie (Patton) died I was lonely," said Son. "I took a mind to come north with Willie. We had friends in Rochester." Son and Willie arrived in Rochester in 1943 without Evie. Eventually she would rejoin Son on Greig Street. "We played some together in Rochester, Willie and I, mostly in homes," said Son. Willie became very ill after the two men came to Rochester and he returned to Mississippi. Shortly after, Son received a letter from Willie's girl. He was dead, "of the effects of alcohol." 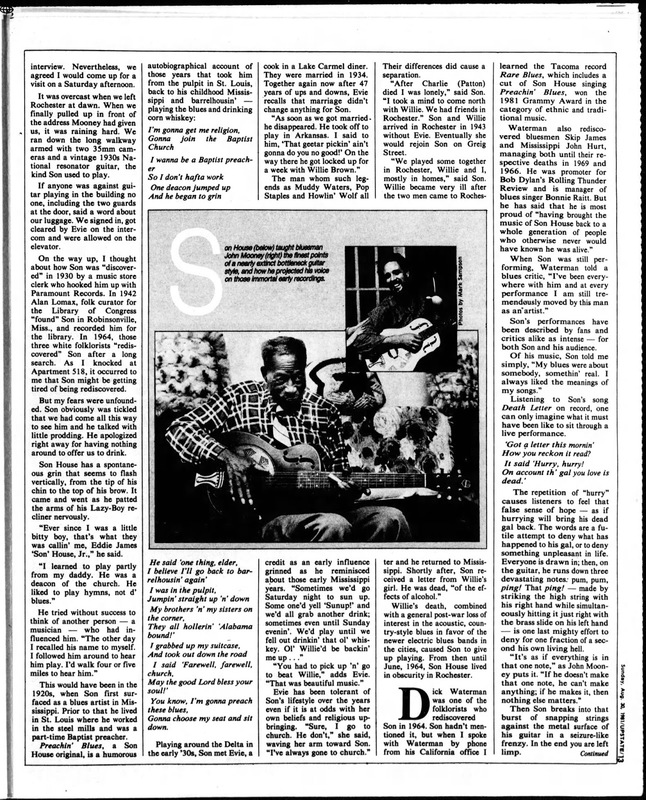 Willie's death, combined with a general post-war loss of interest in the acoustic, country-style blues in favor of the newer electric blues bands in the cities, caused Son to give up playing. From then until June, 1964, Son House lived in obscurity in Rochester. 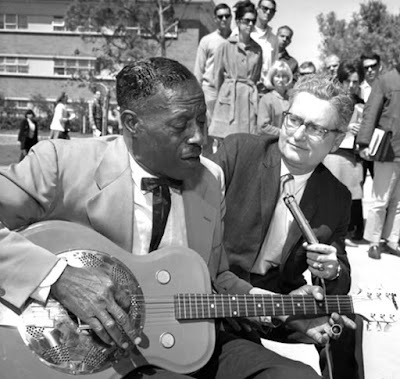 learned the Tacoma record Rare Blues, which includes a cut of Son House singing Preachin' Blues, won the 1981 Grammy Award in the category of ethnic and traditional music. Waterman also rediscovered bluesmen Skip James and Mississippi John Hurt, managing both until their respective deaths in 1969 and 1966. He was promoter for Bob Dylan's Rolling Thunder Review and is manager of blues singer Bonnie Raitt. But he has said that he is most proud of "having brought the music of Son House back to a whole generation of people who otherwise never would have known he was alive." artist." Son's performances have been described by fans and critics alike as intense — for both Son and his audience. Of his music, Son told me simply, "My blues were about somebody, somethin' real. I always liked the meanings of my songs." The repetition of "hurry" causes listeners to feel that false sense of hope — as if hurrying will bring his dead gal back. The words are a futile attempt to deny what has happened to his gal, or to deny something unpleasant in life. Everyone is drawn in; then, on the guitar, he runs down three devastating notes: pum, pum, ping! That ping! — made by striking the high string with his right hand while simultaneously hitting it just right with the brass slide on his left hand -- is one last mighty effort to deny for one fraction of a sec-ond his own living hell. "It's as if everything is in that one note," as John Moon-ey puts it. "If he doesn't make that one note, he can't make anything; if he makes it, then nothing else matters." Then Son breaks into that burst of snapping strings against the metal surface of his guitar in a seizure-like frenzy. In the end you are left limp. 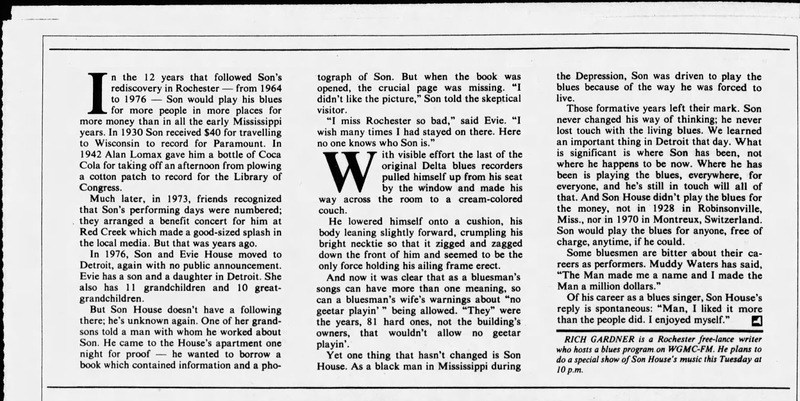 In the 12 years that followed Son's rediscovery in Rochester — from 1964 to 1976 — Son would play his blues for more people in more places for more money than in all the early Mississippi years. In 1930 Son received $40 for travelling to Wisconsin to record for Paramount. In 1942 Alan Lomax gave him a bottle of Coca Cola for taking off an afternoon from plowing a cotton patch to record for the Library of Congress. Much later, in 1973, friends recognized that Son's performing days were numbered; they arranged a benefit concert for him at Red Creek which made a good-sized splash in the local media. But that was years ago. In 1976, Son and Evie House moved to Detroit, again with no public announcement. Evie has a son and a daughter in Detroit. She also has 11 grandchildren and 10 great-grandchildren. But Son House doesn't have a following there; he's unknown again. One of her grand-sons told a man with whom he worked about Son. He came to the House's apartment one night for proof — he wanted to borrow a book which contained information and a photograph of Son. But when the book was opened, the crucial page was missing. "I didn't like the picture," Son told the skeptical visitor. With visible effort the last of the original Delta blues recorders pulled himself up from his seat by the window and made his way across the room to a cream-colored couch. He lowered himself onto a cushion, his body leaning slightly forward, crumpling his bright necktie so that it zigged and zagged down the front of him and seemed to be the only force holding his ailing frame erect. And now it was clear that as a bluesman's songs can have more than one meaning, so can a bluesman's wife's warnings about "no geetar playin' " being allowed. "They" were the years, 81 hard ones, not the building's owners, that wouldn't allow no geetar playin'. the Depression, Son was driven to play the blues because of the way he was forced to live. Those formative years left their mark. Son never changed his way of thinking; he never lost touch with the living blues. We learned an important thing in Detroit that day. What is significant is where Son has been, not where he happens to be now. Where he has been is playing the blues, everywhere, for everyone, and he's still in touch will all of that. And Son House didn't play the blues for the money, not in 1928 in Robinsonville, Mississippi, nor in 1970 in Montreux, Switzerland. Son would play the blues for anyone, free of charge, anytime, if he could. Some bluesmen are bitter about their ca-reers as performers. Muddy Waters has said, "The Man made me a name and I made the Man a million dollars." Of his career as a blues singer, Son House's reply is spontaneous: "Man, I liked it more than the people did. I enjoyed myself." Rich Gardner is a Rochester freelance writer who hosts a blues program on WGMC-FM, and le plans to do a special show of Son House's music this Tuesday at 10 p.m.